The Best Multiple Sclerosis blogs from thousands of top Multiple Sclerosis blogs in our index using search and social metrics. Data will be refreshed once a week. Also check out Top Multiple Sclerosis Youtube Channels list for Top videos on Multiple Sclerosis. 2.23 Tripping on Air | My trip through life with MS.
2.24 M.S. Views & News. 2.29 My Odd Sock | A funny look at life with a limp. 2.43 Love My MS Life | Finding happiness and hope every day while living with multiple sclerosis. Multiple Sclerosis newsletter is a comprehensive summary of the day's most important blog posts and news articles from the best Multiple Sclerosis websites on the web, and delivered to your email inbox each morning. To subscribe, simply provide us with your email address. Philadelphia, PA About Blog At MultipleSclerosis.net we empower patients and caregivers to take control of MS by providing a platform to learn, educate, and connect with peers and healthcare professionals. Facebook fans 119,300. Twitter followers 2,692. Dallas, TX About Blog Multiple Sclerosis News Today is a digital news publication dedicated to offering comprehensive daily news coverage of MS. Stay informed about approved therapies, new medications and developments to treat MS.
Facebook fans 21,647. Twitter followers 4,173. About Blog The National Multiple Sclerosis Society exists because there are people with MS. Our vision is a world free of MS. Everything we do is focused so that people affected by MS can live their best lives as we stop MS in its tracks, restore what has been lost and end MS forever. Facebook fans 339,192. Twitter followers 56,620. Canada About Blog The Multiple Sclerosis Society of Canada is the source of accurate, up-to-date information about MS, the most common neurological disease affecting young adults in Canada. We are a leader in finding a cure for multiple sclerosis & enhancing the quality of life for those affected. Facebook fans 40,804. Twitter followers 14,089. San Francisco, CA About Blog We're committed to being your source for expert health guidance. Come to us in your pursuit of wellness. Find latest news and information on Multiple Sclerosis. Facebook fans 103,970. Twitter followers 35,814. About Blog You Don't Know Jack About MS® was created by Jack Osbourne in partnership with Teva Neuroscience to provide insight and resources for people who are newly diagnosed or living with relapsing forms of multiple sclerosis (RMS). The vision was to start a new conversation about MS — to dispel myths, educate and help patients manage their disease. Facebook fans 325,504. Twitter followers n/a. Mountain View, CA About Blog Comprehensive up-to-date news coverage on Multiple Sclerosis, aggregated from sources all over the world by Google News. Facebook fans n/a. Twitter followers 213,576. About Blog Welcome to the world's leading forum on Multiple Sclerosis research, support, and knowledge. For over 10 years, This is MS has provided an unbiased community dedicated to Multiple Sclerosis patients, caregivers, and affected loved ones. United States About Blog The Multiple Sclerosis Association of America (MSAA) is a national nonprofit organization dedicated to enriching the quality of life for everyone affected by multiple sclerosis. MSAA provides ongoing support and direct services to individuals with MS, their families, and their care partners. Facebook fans 21,652. Twitter followers 5,688. About Blog All about multiple sclerosis for clinicians. Authoritative timely updates on risk factors, diagnosis, and treatment. Facebook fans 2,080. Twitter followers 1,734. Seattle, WA About Blog I am Megan living With Multiple Sclerosis and Finding The Reasons to Laugh and Smile. I hope you will be able to say you do, once you have read about how I view all the ups and downs that life seems to deal each and every one of us. There is the good, the bad and the ugly….and then there are the reasons to laugh and smile. Facebook fans n/a. Twitter followers 3,622. New Jersey About Blog I want to help empower people over age 50 and despite any disability to live a healthy and joyful life. Life is delicious! Facebook fans 1,369. Twitter followers 8,882. New York City About Blog I'm Marc, a 53-year-old male, living in New York City with my lovely and wonderful wife Karen. Diagnosed with Primary Progressive Multiple Sclerosis in March of 2003, I now require a wheelchair to get around the city. My blog is all about the Rants, Ruminations, and Reflections of a Mad MStery Patient. Melbourne, Australia About Blog I started writing this blog under the pseudonym LadywithMS in February 2014 because I was scared. I was scared of everything – changes to my health, the medications available, the emotional reaction of those close to me, the obvious lack of understanding by some medical professionals, and the disease itself. Life with MS has it's moments... You can find my thoughts about them here. Facebook fans 319. Twitter followers 2,160. About Blog Living life with a chronic illness is definitely not easy. But I do my best to push through all the barriers this illness puts in front of me! In my heart and mind, I believe maintaining a positive outlook on all situations in life will carry us through to much better times! I hope you find the information that I provide both helpful and inspirational! About Blog Life in Spite of MS seeks to provide information, support, and inspiration to anyone who suffers from multiple sclerosis. Information and tips for family members and caregivers is also provided. 23. Tripping on Air | My trip through life with MS.
Toronto, Ontario About Blog Life hacks from a girl with MS. How to trip and fall without wrecking the pretty. Facebook fans 1,007. Twitter followers 484. 24. M.S. Views & News. About Blog A web-blog (formerly known as Stu's Views and MS News), now published by MS Views and News, a patient advocacy organization. The information on this blog helps to Empower those affected by Multiple Sclerosis globally, with education, information, news and community resources. Facebook fans 10,626. Twitter followers n/a. Mount Pleasant, Michigan About Blog Dan and Jennifer demonstrate two different faces of Multiple Sclerosis. We are using our experiences to empower others. About Blog A lifestyle blog about Ashley E. Smith, a warrior with Multiple Sclerosis (MS). Redefining what disabled looks like. I share my journey and life with Multiple Sclerosis. I hope this blog inspires you to keep up the fight. I believe this is God's wicked sense of humor telling me to keep going. Pakistan About Blog The Society for Multiple Sclerosis Patients in Pakistan is aimed at creating awareness about MS among the general population and helping MS patients cope with this disease. Facebook fans 6,477. Twitter followers 201. England, United Kingdom About Blog My blog is all about Stumbling through life with progressive Multiple Sclerosis (MS) and sharing information about how I try manage life and stay as healthy as possible. Facebook fans 232. Twitter followers 1,064. 29. My Odd Sock | A funny look at life with a limp. Barcelona About Blog We are the first and only non-profit private patients foundation to boost biomedical innovation.Located at the Scientific Park of Barcelona and under the direction of research and biomedicine experts. We select innovative projects that can become therapeutical solutions for healing Multiple Sclerosis and for improving the quality of life of MS sufferers. Facebook fans 4,129. Twitter followers 2,007. Cape Cod, MA About Blog The goal of www.yvonnedesousa.com is to help people struggling with illness or any unfunny thing to have a little smile. If anyone viewing the website laughs out loud, even better. To do this, I poke gentle fun at myself, MS and the world around me. Facebook fans 1,122. Twitter followers 1,528. South Coastal Maine, United States About Blog Welcome to my blog. I’ve started this blog to help me pass the time while engaged in a productive activity- advocating for the disabled community, of which I am now a reluctant member. I am Mitch, and despite everything I am still Enjoying the Ride. Leander, TX About Blog I'm a blogger for MultipleSclerosis.net and an MS Patient advocate. I've had my ups and downs in living this new journey with MS and I like to express my MS by supporting and helping educate others, as well as blogging. Hoping that others can relate and find help/reassurance with my MS advocacy & blogging! Facebook fans 7,328. Twitter followers n/a. New Orleans About Blog My New Normals was created to give an outlet to family, friends, caregivers and anyone living with MS or any other debilitating disease. Our goals are to raise national awareness and educate the public about MS.
Facebook fans 6,280. Twitter followers 10,111. Pittsburgh About Blog I’m Beth Nigro, 50 years old, single and I live happily with my four cats Fred, Ivan, Owen and Roger. I was diagnosed with multiple sclerosis in 2015 after a three year journey of mysterious ills and bodily failings that left me feeling confused, frustrated and just plain pissed off. I blog about my life with multiple sclerosis - and my life in general. Facebook fans 889. Twitter followers 177. Facebook fans 6,229. Twitter followers 5,670. About Blog The mission of the Rocky Mountain MS Center is to improve the lives of people with MS and their families through care, support, education and research. Everywhere About Blog MSWorld provides support and information about living with Multiple Sclerosis. MSWorld offers chat, message boards, conference center, creative center, resource center, an online newsletter, and most importantly, a community of people who share your daily challenges. Facebook fans 126,498. Twitter followers 8,631. Naarden, The Netherlands About Blog A socially driven initiative developed by Sanofi Genzyme and a platform designed to empower, unite and give a voice to the MS community. Facebook fans 30,211. Twitter followers 4,544. Ireland About Blog Ireland, Multiple Sclerosis & Me is about conveying optimism and motivation through writing about ​life with MS, while also sharing facts, figures and trends and the mission is to enable and empower people affected by Multiple Sclerosis to live the life of their choice to their fullest potential. Facebook fans 446. Twitter followers 2,376. About Blog Welcome to Multiplesclerosis-go.com. your source for events, support groups, and meetings focused on helping people with MS enhance their lives, share information and support each other in their challenges. 43. Love My MS Life | Finding happiness and hope every day while living with multiple sclerosis. San Diego, CA About Blog My name is Tricia, and I live in San Diego. My goal is to inspire you. I share bits and pieces of my life and experiences living with MS with the goal of giving you the one thing that keeps me going every day: hope. Facebook fans 1,113. Twitter followers 449. New Mexico About Blog This is the official blog of ActiveMSers, which is designed to help, motivate, and inspire those with multiple sclerosis to stay as active as possible—physically, intellectually, and socially—regardless of physical limitations. Our motto: Be active, stay fit and keep exploring! Facebook fans 2,098. Twitter followers 925. Sverige About Blog The unfiltered musings of a youth worker, MS warrior, wanna-be writer and chronically misunderstood misfit. About - A blog for people with MS and their families, by Barts and The London School of Medicine and Dentistry. About - My blog is all about Stumbling through life with progressive Multiple Sclerosis (MS) and sharing information about how I try manage life and stay as healthy as possible. About - So a little bit about me. I’m Heather, a 27 year old actor, teacher and MS Society Support Volunteer, who lives in England and was diagnosed with MS 2 years ago. Blogging about Life with MS.
About - Multiple Sclerosis Test focuses on providing information for anyone affected by multiple sclerosis, education programmes for health professionals, funding for practical research and campaigning for specialist multiple sclerosis services. 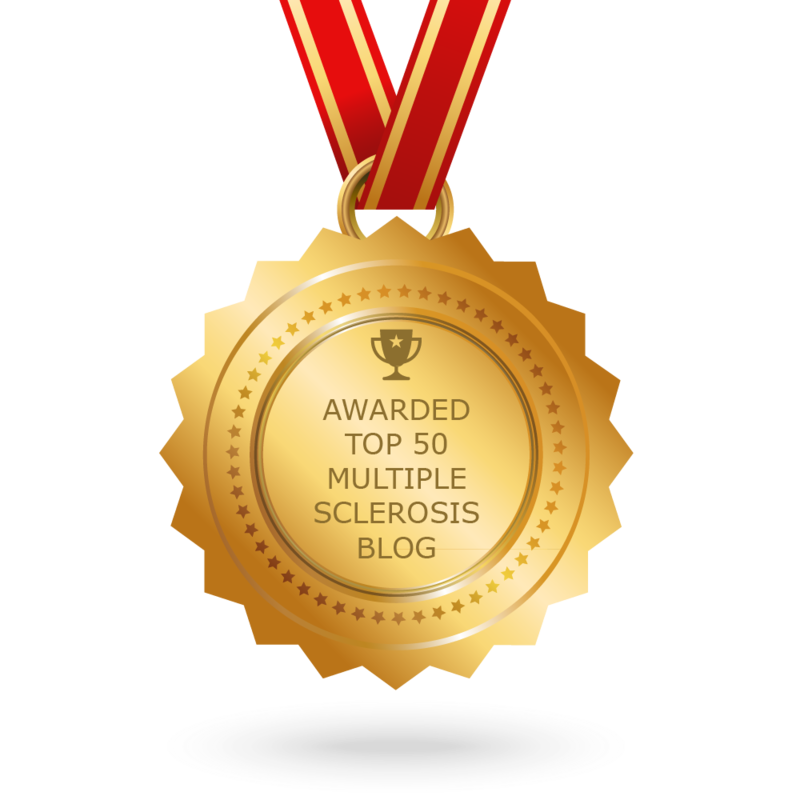 CONGRATULATIONS to every blogger that has made this Top Multiple Sclerosis Blogs list! This is the most comprehensive list of best Multiple Sclerosis blogs on the internet and I’m honoured to have you as part of this! I personally give you a high-five and want to thank you for your contribution to this world.